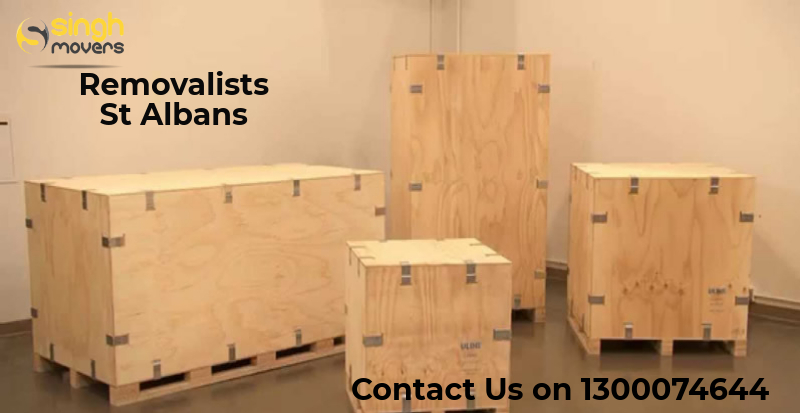 Removalists St Albans, Singh Movers are Melbourne based local removing company. As we knew Moving is a stressful thing which can’t be done by a layman. In the moving process, there are many things to do which needs a professional and skilled person. Whether you are relocating in local or interstate, it is a stressful task. You will need a professional and qualified person who do this task with patience and care. Are you searching for the best and reliable furniture removalist Company who offers you the quality and safe house removal service? Then Singh Movers & Packers is one of the leading furniture removalists, St Albans. We provide the most efficient service to our customers. We have a team of a qualified and experienced person who fulfill your requirements. Singh movers & packers specialize in local, intercity and interstate house removals. We ensure that your relocation is smooth and simple. We ensured to put customers need first so that we provide them satisfaction. We offer the complete customized moving service according to the customers need in terms of budget, price, and safety. Singh Movers always struggle to provide the highest quality service to customers. We are investing in the technologies that make your move easy and stress-free. Our movers will make sure that your valuable things are protected and arrive safely at the destination. We provide you a complete range of moving services. Singh movers provide best and high-quality furniture removalists, St Albans. We charge actual and real prices from our customers. Our pricing system is not hidden and complicated. We fulfill every individual moving needs and requirements. We first determine the exact size and weight of the moving material so that the schedule will be planned for the final day. We use all preventive measures for the safety of your valuables. Come to us for the quality Furniture removalist St Albans and get the perfect solution. We specialized in these removalist services. Every customer has different demands and always strived to fulfill the needs of all the customers by our different services. We keep in mind all the requirements of the customer and focus on that. Furniture removal is a difficult job which can’t be done by layman thus need professional who can handle all these difficulties. Our professional team will save you from various problems or injuries while transiting. Our professionals have experience with many years and professional knowledge of moving. They carry the moving process with safety measures. The removalist team of Singh movers makes a checklist of all the materials that require to be shifted to a new place. There is proper packing of material in order to avoid any damage, breakage or loss of material. You feel free from our end as you will do all the process from making the checklist, packing, loading and unloading material. You will feel relax and stress-free with our furniture removalists St Albans. If you are one of those who want fast and reliable furniture removalists Company then Singh movers & packers are the better options. We provide the best service at a minimum cost. When there is interstate relocation then there is a need to store the valuables. We also provide the short term and long term storage facility where your material is secure. Singh movers being the top leaders for the local or interstate removal will commit you for the ultimate furniture removal service. With our service, you don’t need to worry about your furniture; it is safe and secure. We will take your burden on our shoulders. You will not need to do anything as we handle all your requirements. Our main focus is to provide satisfaction to customers. We have a long list of satisfied and happy customers. They always prefer us and recommend us. We never charge extra from them. Why choose Singh packers & Movers as the furniture removalists, St Albans? Singh movers & Packers are the best removalists, St Albans. We are the most trustworthy and reliable furniture removalist, St Albans. We provide quality services to customers. We have a team of professional and qualified persons who have many more experiences. They are courteous, friendly and loyal towards their job. Singh Movers & packers are the reliable furniture removalists St Albans which offer you high-quality service. We will look after your furniture with care and respect. Customer satisfaction is our priority. We will not only focus on providing you with the best service but also provide satisfaction to our customers. We provide a wide range of service. We also provide packing material, special trolleys, crates, and cargo trucks. We have a qualified and professional team of experts who offer you efficient service. Our team is hard working and very polite to customers. We also provide the facility of storing your materials. Even we give you the short term and long term storage facilities. During the shifting, if there is a need to store the items then it will help you. Your material is stored in a safe place. We provide you the fast and quick service to our customers. We ensure that your furniture is moving safely. We offer you timely service. We provide our customers with the surety of the best moving service. We always give priority to customers need and requirement and will try to fulfil them. We have a long list of happy customers who are attached to us for a long time. These are our features which makes us special and unique. So, don’t think, come to Singh Packers & movers and get the budget removalists, St Albans. Contact us for the best and quality furniture removalists service St Albans. St Aldan is a suburb which is located 15 km north-east of Melbourne, Victoria, and Australia. It is situated with the City of Brimbank local government area. The population is recorded around 37309 according to 2016 Census. The postal code is 3021. It has become a very multicultural area with 53.3% of residents and has a high proportion of non-English speaking background residents. At Singh movers, customer’s requirement will be given priority. We work for the fulfillment of the customer’s needs and provide them satisfaction. We are the best packers & movers St Aldan who provides you the high-quality furniture removal service. We focus on offering you timely and safely delivery of your materials. We offer customized services so that customers get happy and recommend us. We have a long list of customers who always prefer us for the moving service. Come to Singh movers & packers for the professional and reliable furniture removalists St Albans.